If you’re interested in some of the technicalities of cement flooring, read on. We will try our best to give you an overall understanding of our processes and expand your education on the subject. The first bit of explaining we do is to try and show our clients that cement flooring can be as stylish—if not more so—than any other flooring solutions. The labour and care we put into refining the finishing effect you want is what we’re all about. We believe that processes like epoxy flooring and other general decorative cement flooring will soon surpass alternatives like wood and marble. Why? 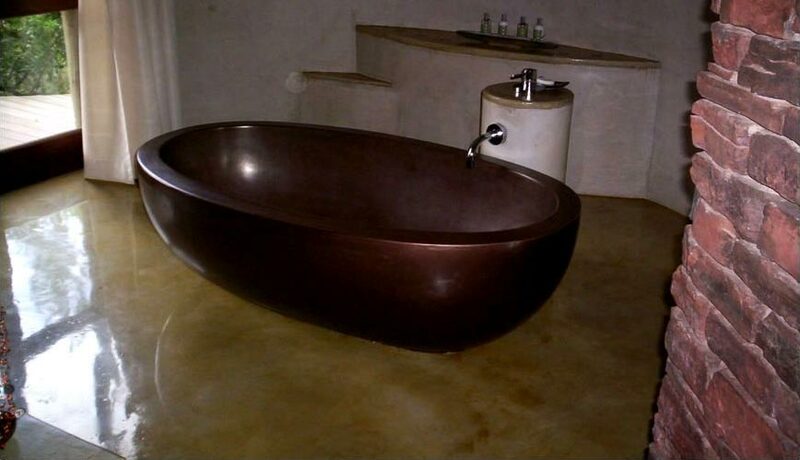 Because cement flooring can be made to imitate these finishes while offering protective durability and waterproofing qualities. In addition to the durability and look of these products, they are also a lot more affordable. 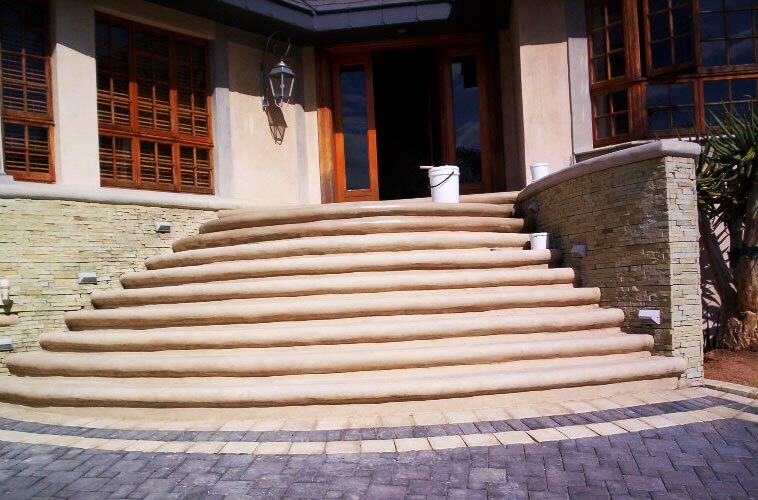 The team at Concept Flooring are determined to make high end floor finishes accessible to the majority of homeowners in South Africa. Many clients approach us and ask if we are able to transform their existing cement floors into something more aesthetically appealing. The answer is YES! At Concept Flooring we have the means to cover an existing concrete surface with polymer cement material that can be reworked in various ways to culminate into the desired effect. Seamless floor coatings: Adding layers of seamless floor coatings will render your floor water resistant, chemical proof, and stain resistant. Polishing: For the marble look, polishing is required. Concept Flooring also provide this service as a separate maintenance option where needed. Epoxy floor paint: Commercial epoxy flooring is perfect for community centers, banks, stores and schools. 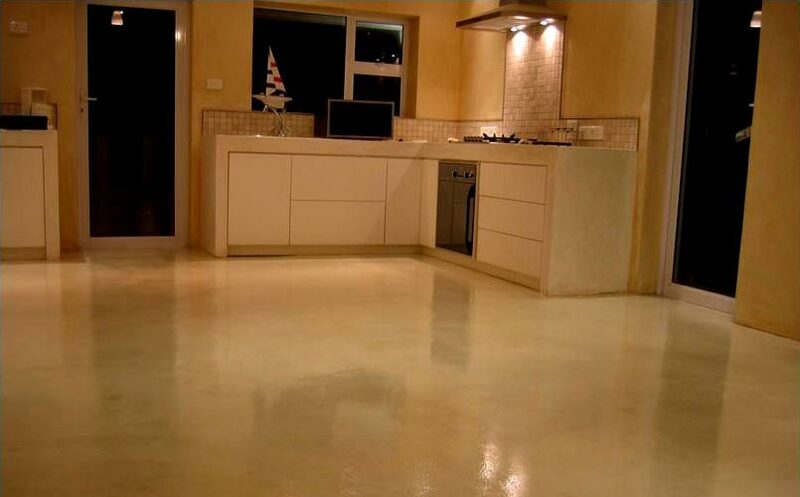 Colour choices are endless with this range so let us give your concrete floors a facelift. Acid staining: Before acid staining is done, floors are well prepared and cleared of any dirt or debris. The acid staining is then applied to the clean surface. The acid must then be neutralized with a baking soda solution before acrylic concrete is applied to finish off the surface texture—also known as a faux finish. Parquet and laminates: Laminate flooring is usually used to imitate wood. You’ll have countless home decor ideas flooding your mind when you see our range! Stucco wall plaster and Venetian plaster: That’s right, we don’t just do floors, but walls too. Stucco wall plaster provides your living areas with a unique finish that outshines normal paint or wall paper. Decorative textured paint also falls under this category. First talk to us for inspiration – then watch us work! Surfaces can be repurposed to imitate stone floors, marble, cladding, and lots more. Additionally, other processes add more durability, stain-resistance, and more resistance against harsh weather, from hailstorms to scorching heat spells. These great processes have opened up a whole new library of patio ideas, outdoor flooring concepts, and elegant curb visuals. If you want to learn more about processes such as stamping, troweling, screed flooring, or spraying, feel free to talk to one of our consultant and find out which process delivers the finish you want. Great work on my new patio. You did exceptional work! Thank you so much. Regards, Candice Taylor. We have combined experience of more than 20 years with thousands of meters of concrete/cement floors installed using the best materials and design inputs available to us. © 2015 Concept Flooring. All Rights Reserved. Website design & corporate hosting by Cloud Bay.